Summer Jewelry CraftJam - Tassel Edition! Tassels are taking over! Swaying on the side of your beach tote, adorning accessories, and dangling from your ears. We are loving this flirtatious trend so much we made it into a brand new CraftJam. Join our Summer Jewelry CraftJam to explore making different types of tassels, and learn how to apply them to jewelry in unique fashions. This CraftJam is taught by JamMaster Alicia, the talented jewelry designer behind the jewelry brand Lingua Nigra. 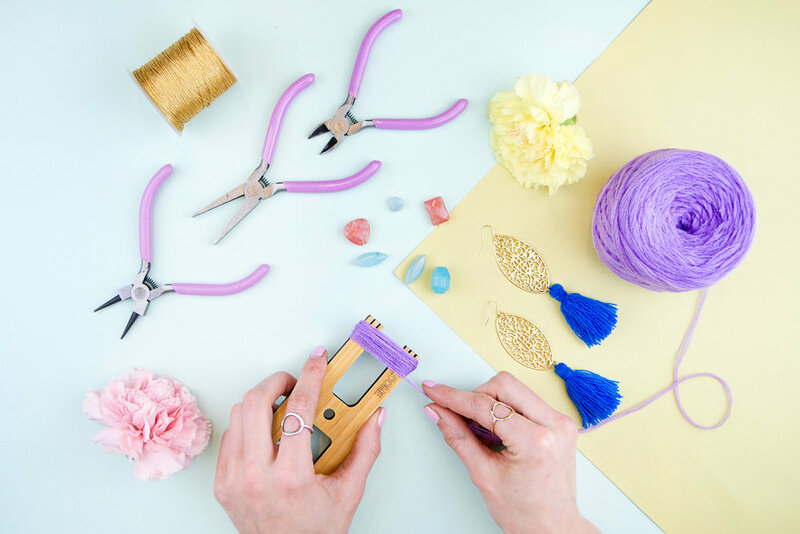 With her expertise, you can learn basic jewelry making skills and all the tips and tricks for different tassel techniques. 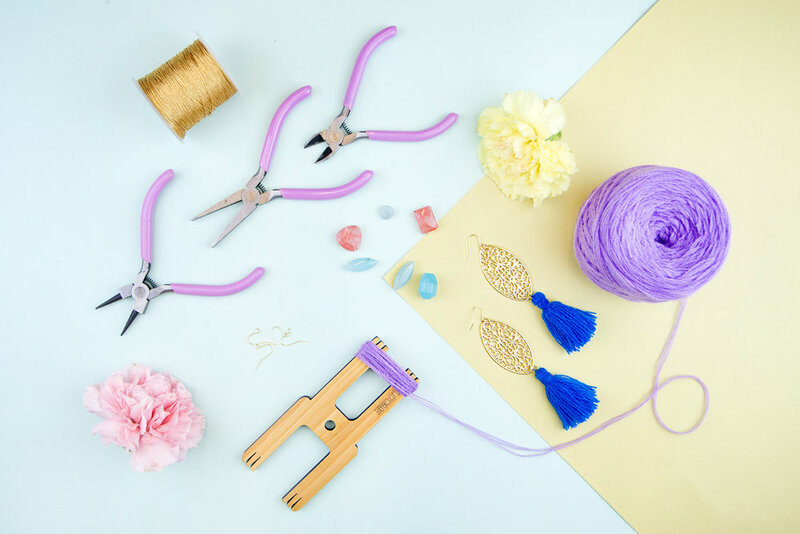 We’ve got all the materials you need, including colorful yarn, jewelry findings and beads, and all the right jewelry tools. Walk home with a set of self-made tassel jewelry, from earrings to bracelets!